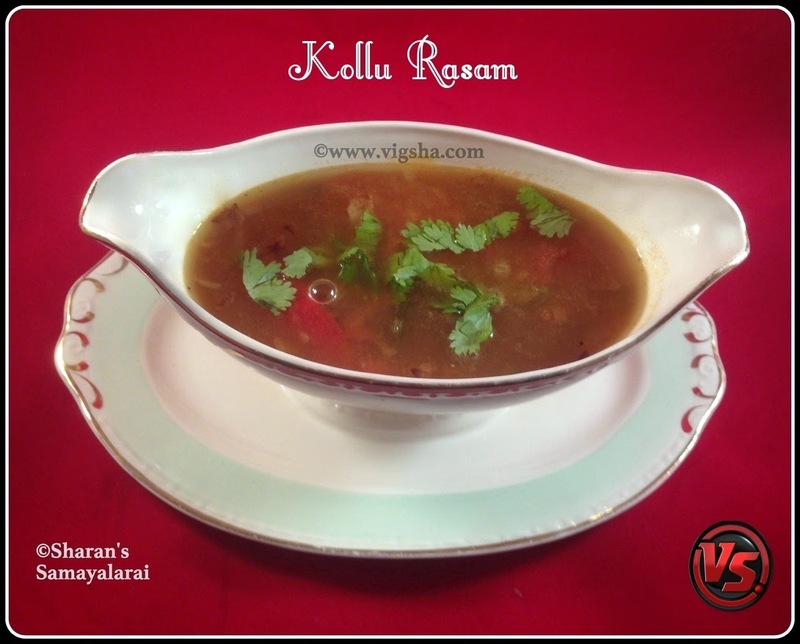 Kollu Rasam is simple and comforting. It is a delight during winter days. Rasam is an integral part of South Indian meals. Kollu (Horse gram) is loaded with health benefits. This is a very good excellent house remedy for cough/cold. Kollu helps in lowering cholesterol levels. It has phenols which helps in reducing weight. When suffering with cough, phlegm is a hard thing to get rid of. Taking horse gram rasam can eliminate the phlegm and give relief. This is my mom's recipe and one of my favorite. Check out my other rasam recipes here :- Tomato Rasam, Paruppu Rasam, Pasiparuppu Rasam. 1). Pressure cook kollu paruppu with turmeric powder, tsp of oil with 2 cups of water for 2 whistles. 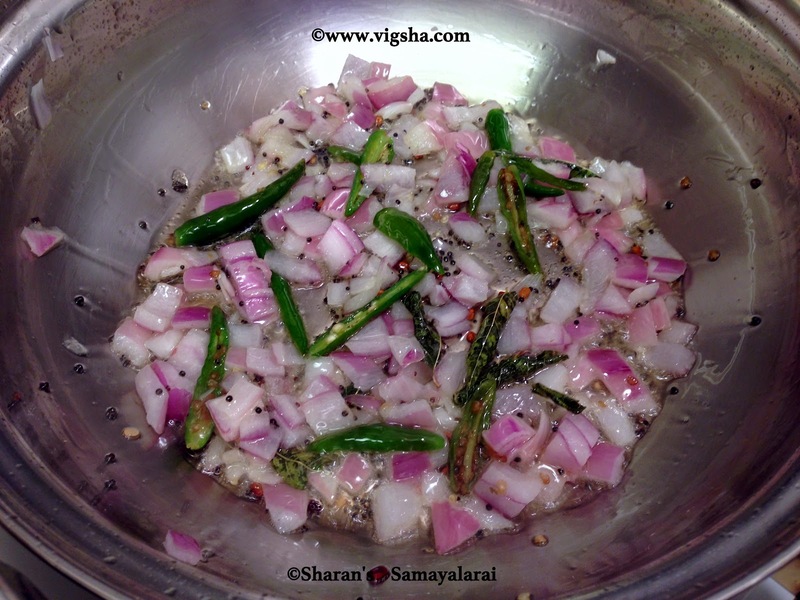 When the pressure is released, mash the cooked kollu and set it aside. Soak tamarind in 1/2 cup of hot water and extract tamarind juice, keep aside. 2). Heat a tsp oil in a pan, add mustard and let it splutter. 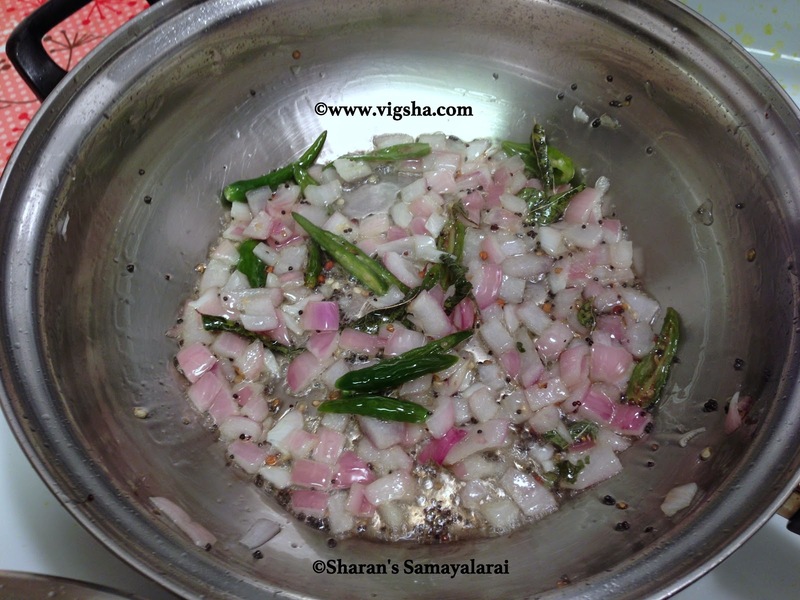 Then add onions, crushed garlic, green chillies, salt, curry leaves and hing. Saute till onions turns translucent. 3). Add the tamarind extract along with rasam powder, turmeric powder and let it boil. 4). When the tamarind extract begins to boil, add the paruppu water and let it boil til it becomes frothy. Finally add pepper powder and switch off! 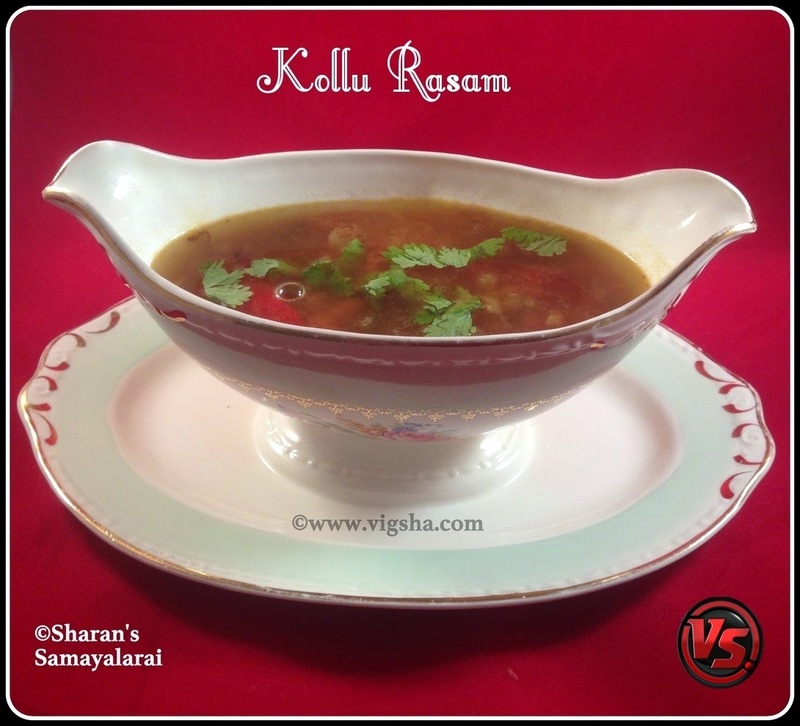 Tasty and flavorful Kollu rasam is ready !! Garnish with corainder leaves and enjoy it with Kollu Paruppu Masiyal & Steamed rice. # Use freshly crushed garlic for nice flavor. # I usually add a tsp of mashed kollu masiyal in the rasam. But it is purely optional.